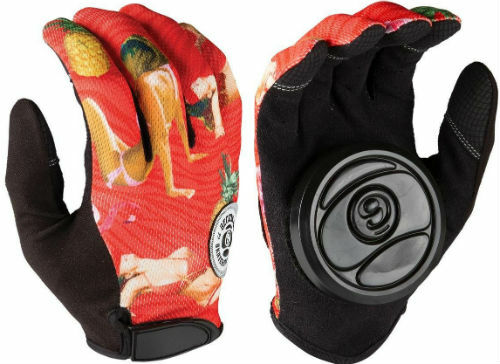 Longboarding gloves may seem like an unnecessary investment, and to riders who cruise on urban streets and seaside boardwalks they probably are. 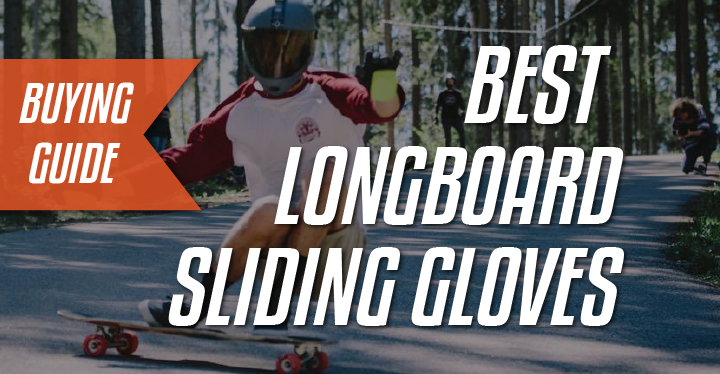 But new riders considering downhill longboarding, especially downhill freeride, should purchase the best longboard sliding gloves they can find. 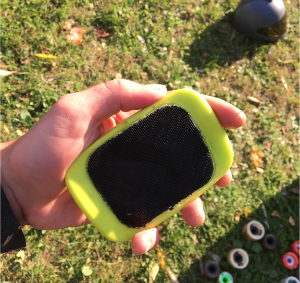 Longboarding sliding gloves have plastic pucks attached — usually to the palm but sometimes also the fingers — that enable downhill riders to put their hands down on the pavement as they slide. This lets freeriders slide in a more stable, horizontal position. It also gives riders the option of putting their hands down if they lose balance during a standup slide or need to stop quickly, while providing excellent hand protection in the event of a crash. We’ll discuss the things to know when looking for a new pair of sliding gloves, but first let’s look at some of the best slide gloves available. Triple 8 is a New York City-based protective sports equipment company. The Triple 8 Sliders are quality sliding gloves made from proven materials. 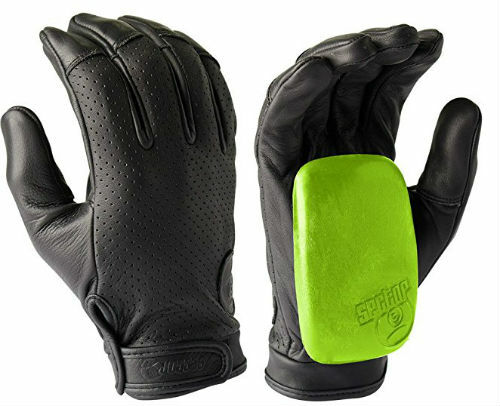 They offer full, top-grain leather hand protection with tough Kevlar fingertips. The Sliders feature polyurethane pucks and finger bars, which are replaceable. They have wrap-around Velcro wrist closures to provide a secure fit, and include an EZ-Pull loop helps with putting them on. Triple 8 is building a reputation for quality and durability, and the Sliders do not detract from that. The Velcro on the Sliders isn’t the strongest, but it is on par with most of the competition. 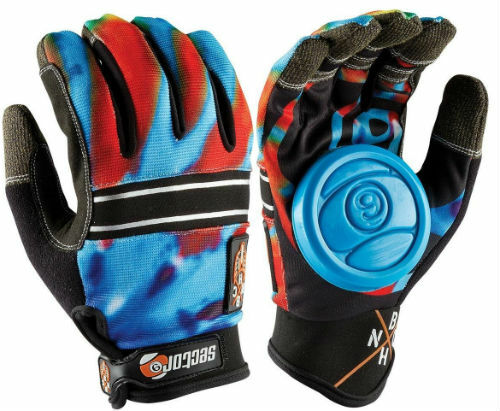 Sector 9’s BHNC gloves are extremely lightweight and breathable sliding gloves. BHNC (Bomb Hills Not Countries) gloves have Kevlar fingers with neoprene knuckle panels and cuffs. They are not the most protective sliding gloves, but they get the job done and don’t break the bank. The BHNC gloves feature one large, replaceable puck which is made from durable Derlin. There is a 3-mm thick anti-vibration pad between the puck and palm, and there’s also a reflective panel on the back for nighttime riding safety. Neoprene isn’t the most durable material, but these gloves get the job done for those who keep to the pucks. Rush sliding gloves are Sector 9’s base model. The material is a stretchy, breathable synthetic fabric. It provides no crash protection and cannot survive being scraped along the pavement. 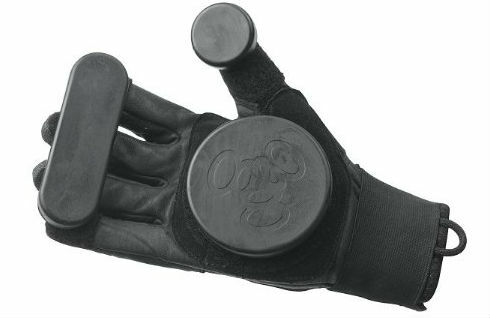 Rush sliding gloves have a Velcro closure, and they fit snugly and securely on the hands if properly fitted. 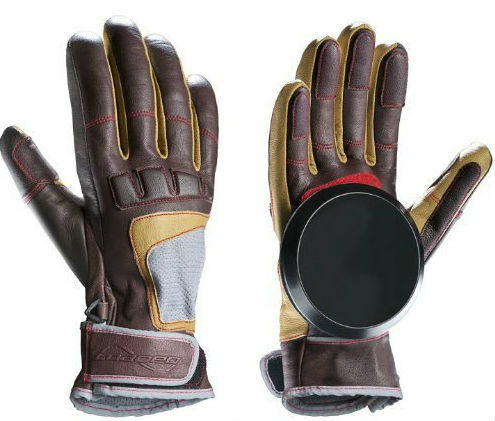 The 9 Ball pucks are the Rush sliding gloves’ main attraction. They are made from Derlin polymer, the same material as the BHNC pucks. While the Rush gloves are not going to win any medals for durability, they last long enough to justify their affordability as long as riders stick to the pucks when sliding. When high speed and friction are involved, things can get dicey quickly. 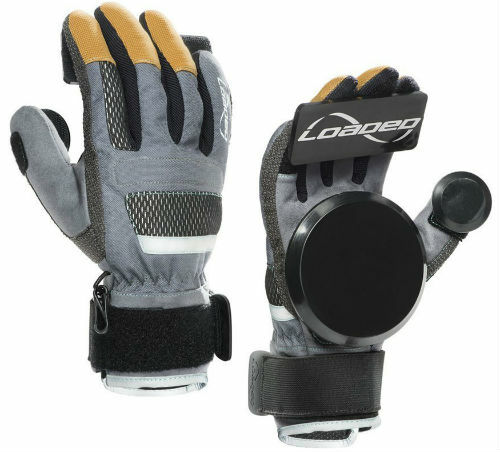 Loaded’s Freeride gloves use abrasion resistant materials to provide protection and performance when the going gets hot. Cordura, Kevlar and synthetic suede panels make up the exterior, and a breathable Coolmax lining keeps hands cool. A new Poron XRD palm pad provides another level of protection, and neoprene-and-Velcro straps cinch them down tightly. Freeride gloves use ultra-high-molecular-weight (UHMW) polyethylene, which is the most impact-resistant plastic available, as the puck material. With the combination of synthetic fabrics and space-age thermoplastic pucks, the Freerides are the most durable slide gloves currently available. Recently updated with new, form-fitting sizing, Loaded has put longevity in the hands of longboarders, and done it a remarkably fair cost. Ever seen MotoGP racing? Those racers wear full leathers on their bikes for a reason: Leather provides the utmost in abrasion resistance. Sector 9’s Driver sliding gloves use full-leather construction for lasting durability. The back is perforated for air flow, and the thumb is reinforced for added life. There are no seams on the palm side to tear. Sector 9 includes the rectangular Ergo Derlin puck with the Drivers. A durable puck, they provide a wider sliding surface than circular pucks. Leather gloves like the Drivers tend to form around the hand with use, and they soon become some of the sleekest and closest-fitting sliding gloves available. No matter what, leather shows abrasions. Keep to the pucks in slides. Rekon is a small longboard and skateboard brand that is still making its bones, and the Rekon slide gloves are a solid step toward building a solid reputation. They are mainly leather, with a small patch of breathable fabric on the back. There are three plastic pucks — fingers, thumb and palm. Velcro is strong to hold the pucks at slower speeds, though, and Rekons make a good first-glove for new freeriders. 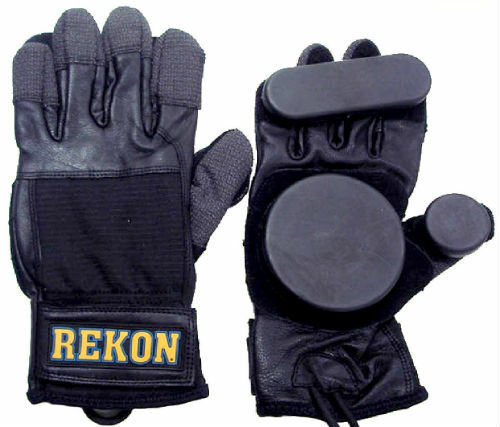 Rekon gloves are a utilitarian option, but they are not quite as tough as their workmanlike appearance would have us believe. They cannot take repeated abrasions as well as some other sliding gloves, but they will last long enough to justify the purchase if all the pucks are used. The palms contain quite a bit of stitching, which frays if anything but puck hits the pavement. Loaded’s Advanced Freeride sliding gloves feature goat-leather construction for soft yet durable performance. The leather is double-layered in high-risk areas and foam protects the knuckles. The Velcro on the palm area is large, durable and heavy-duty. A Coolmax liner and ventilation window work together to keep hands cool, and the thumb is non-articulated to prevent injury and wear. The pucks are UHMW thermoplastic, and they are chamfered to produce effortless slides on the first ride. Advanced Freeride gloves are some of the most sleek and stylish gloves available from Loaded, or any manufacturer. How To Choose Longboard Gloves? Sliding gloves make longboarding at speed safer, providing a layer of protection for a rider’s hands and enabling faster, more stable cornering slides. Hands-down slides open a new dimension for freeriders, and they enable the shut-down slides that help us stop quickly. They allow for a more expressive style of riding at high speeds as well. Manufacturers use various materials to make slide gloves, the quality and durability of which directly affect their lifespan. Natural leathers are a classic choice, but synthetics are more common. Neither is inherently better than the other, though. Synthetic fabrics are a common material choice. The lighter fabrics reduce costs and provide a fair amount of protection, but some modern materials like ballistic Kevlar and Cordura can make gloves as strong as leather and lighter as well. Synthetics can appear a bit bulky, however, and their appeal is a matter of opinion. Leather sliding gloves often have a sleeker appearance than their synthetic competition, but their benefits go beyond their looks. Genuine leather has natural toughness, and leather gloves usually have excellent durability. Their fit also tends to improve over time as the leather conforms to the contours of the hands. Leathers are not all made the same, though, so read the fine print. Also, be prepared to pay more for premium leathers. The puck layout changes between gloves, and the right choice is a matter of preference. 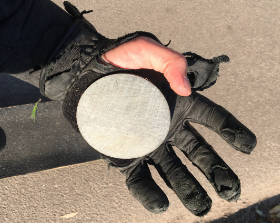 Some freeriders prefer a solitary palm puck, while others like the added protection of thumb and finger pucks. Three-puck systems do protect the fingers better, but more materials mean more things that can go wrong. The larger Velcro area of palm pucks helps them stay adhered, though, while finger and thumb pucks can sometimes become bothersome. Puck materials make a huge difference in the quality of slides, and they also affect the lifespan of the sliders. Long-chain polymers are the choice of the times, and UHMW thermoplastic is a promising new material. It offers longevity and performance that is surely causing the industry to take note. Dupont’s Derlin is a proven polymer, and there are others as well. Issues with stitching involve placement much more than they do the materials of the stitches. Beware gloves with stitched panels all around the palm side. No matter the skill of the longboarder, these areas will contact the pavement during slides. The more stitching there is to fray, the sooner the gloves will find the dustbin. So next time you’re shopping for your slide wheels, you’ll have to get some gloves as well. Don’t be fooled into thinking that, because longboarding is done with the feet, gloves can be ill-fitting. Loose sliding gloves allow the puck to shift around in use, while tight gloves are an uncomfortable distraction. Neither situation is safe or fun. Sliding gloves do not need to fit like surgical gloves, but they need to fit securely. Sliding gloves are a bit of a misnomer. The pucks should do all the sliding, while the glove itself simply carries them. 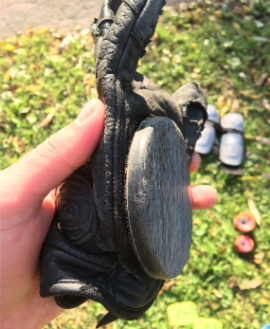 No glove material yet invented can absorb the constant abuse of sliding at high speed against pavement — even the hard, plastic pucks require replacing. But, when used properly, sliding gloves can last as long as any other longboarding component. They open new possibilities in power slides, help slow board and rider quickly and provide protection in case of a fall. Riding downhill without sliding gloves is two-dimensional — and dangerous.